Lilac (Syringa vulgaris) is often grown for its intense fragrance and beautiful flowers, which can range in color from pink to purple, though, yellow and white varieties are also available. word meaning light blue. Lilac was popular as a name for girls in the eighteenth and nineteenth centuries. 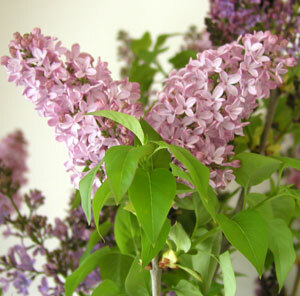 Flower symbolism associated with the Lilac is beauty, pride, youthful innocence, and youth. Around the world Lilacs are enjoyed for their carefree beauty and pleasant scent.